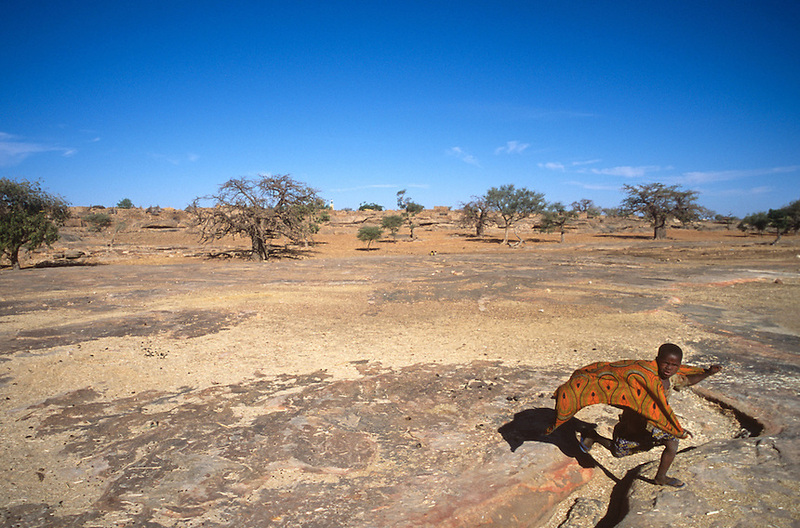 A boy hops across a rocky outcrop near Kambasende, Mali. Engineers without Borders, an international aid group with members worldwide, is examining the village in Mali's Dogon country to see if they can improve water distribution to the community. Currently, women and girls must haul from a well a kilometer way, several times a day. The organization hopes freeing time from water needs will allow more gilrs in the community to attend school.